For as long as I can remember, I’ve wanted to be a tourist in London. 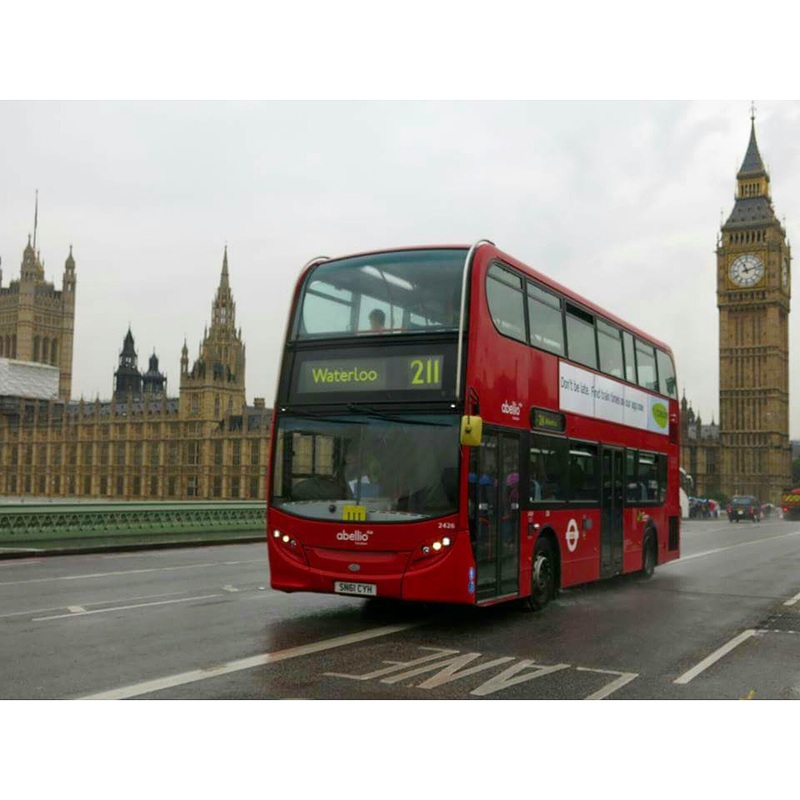 To ride the double-decker red buses past Big Ben and stare up at Buckingham Palace. My mum, a Northern Ireland and Scottish mix, told me that I’d hate it. “It’s crowded and all it does is rain,” she would repeat again and again. I got half of that right…so let me tell you the tale of my time in London. I’ve been to cities that never close down. From New York, to Rio (not really)…but London was something else. New York has this feeling where there’s always a buzz of excitement. London has a feeling where there’s always something to do and you constantly feel rushed. It’s not a bad feeling, just something I had yet to experience. One of the first things that you notice when you arrive in London is the price. It’s expensive. I thought Australia was expensive, but London is worse. Catching the tube 2 stops in London cost me close to $10 AUD. However, this price paves the way for a city of grandeur. Old stone buildings reminiscent of royalty are at every turn and the modern buildings blend perfectly with the intricate stone-masonry of days past. We stayed at the St Martin’s Lane Hotel in Covent Garden. This area is practically the hub and is definitely the place where you want to stay if you want a centralised location and can afford the price tag. On the flight to London, British Airway’s magazine “High Life” named St Martin’s Lane Hotel its ‘Hotel of the Month’ due to its location, technology and quirks. This hotel had a light system integrated into every room where you could change the lighting scheme. The rooms were small in comparison to usual hotel rooms (although probably a great size for inner-city London) and technologically savvy – USB ports beside the beds and plenty of charger ports to charge all of your gadgets. This hotel was wicked. Super central and the breakfast every morning was TO. DIE. FOR. 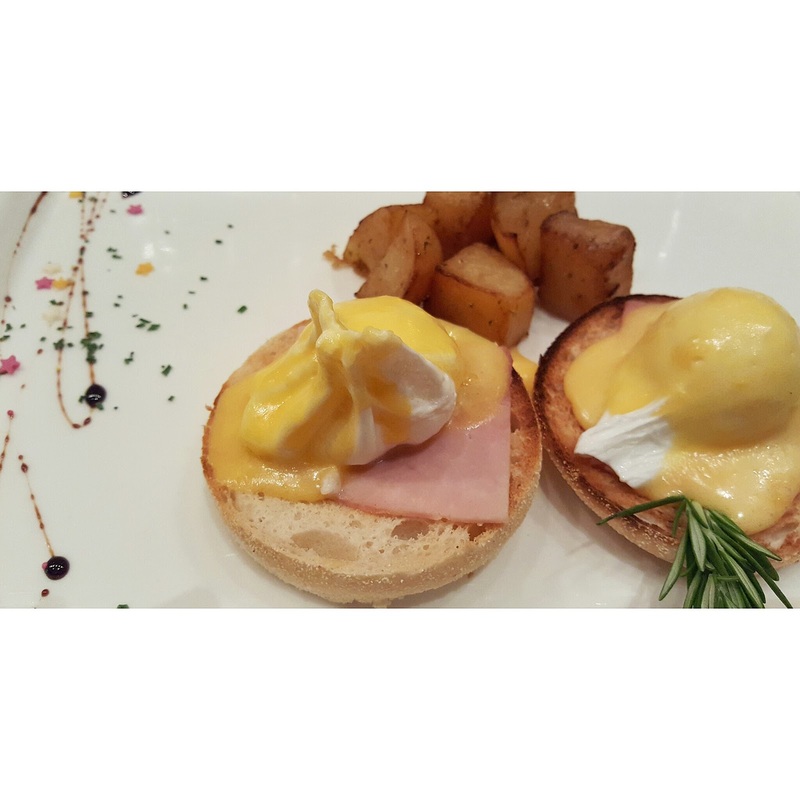 Not only did the breakfast buffet have all the pastries and cheeses that you could want, you could also pick an item off the regular menu (eg – Eggs Benedict) aswell. One of the things I was uber keen to do when we got to London was THE LONDON EYE! You just see it everywhere and it looked absolutely incredible. My darling mum asked me why I needed to do the London Eye when we had the Brisbane one…a question which got her a shell-shocked look before I shook my head in disdain. “It’s going to be awesome,” I sniffed. And it was awesome, although I do have one suggestion. Due to our limited time in London (2.5 days), we had to do it on a day that it was raining. From what I hear, it’s pretty difficult to get a day when it’s not raining in London, but if you can – go up when it’s Sunny. The rain droplets on the glass make it a lot more difficult to take photos off things on the ground and it really limits visibility. That said, it’s absolutely incredible and really gives you a scale of just how large London really is. 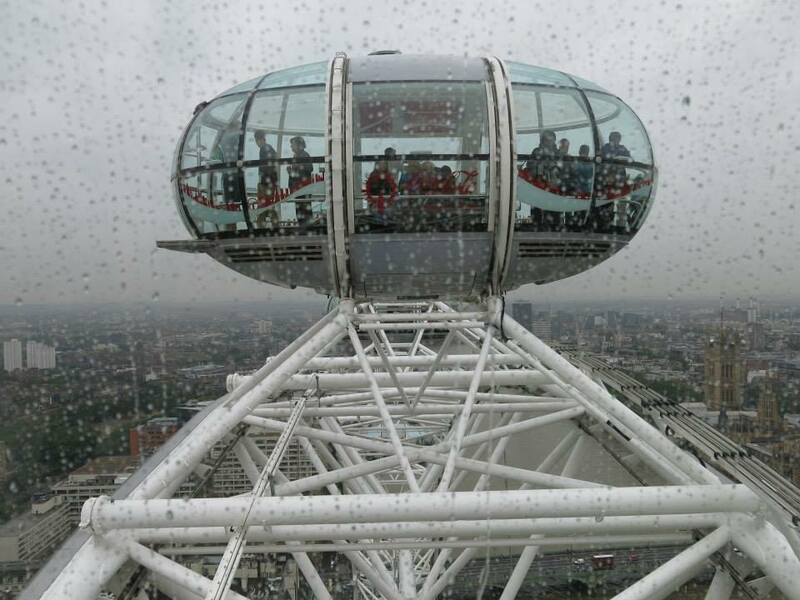 Also, I know it sounds like something for kids but do the “4D London Eye Experience” thing before you get on. It’s super freaking awesome! 10/10 would recommend. I think it cost just under $50 and I’d do it again in a heartbeat! The best way to get around London by tourist really is a tour bus. We got on the Big Bus Tour which has a plug-in audio guide which narrates as the bus drives through the streets of London, and points out important landmarks whilst giving interesting facts. It also provides an escape from the rain! Some of our friends headed up to King’s Cross Station to get a photo with Platform 9 3/4 because…you know, Harry Potter Generation! However, after an hour in line, they finally got to the front. Then three things happened: 1) Her phone died 2) Her polaroid stopped working and 3) Her friend’s phone took a video. Luckily, they did come back smiling because they were able to screentshot frames of the video but my sister and I were very glad we took the chance to see more of London instead of queuing for a photo. We also went to see The Book of Mormon musical at Prince of Wales Theatre. Seriously, this is a MUST SEE. If you’re devout Mormon or religious, maybe not. But if you can take a few little (read: a lot of) digs at religion, it’s amazing. The songs, cast, sets and props were all spot on and had us in stitches for the entire show. You can definitely see why it won all of the awards at the Tony’s a few years ago and I will definitely be trying to get my hands on tickets when it comes to Australia. We saw so much and did so much in 2.5 days in London that it is impossible to catalogue everything. The Craig David and Blonde gig was awesome and was a great way to spend our last night in London! I’ll be back soon!